Home Cryptocurrency Inside Kazakhstan’s Bitcoin mining rush. Will it bring prosperity or pain? Inside Kazakhstan’s Bitcoin mining rush. Will it bring prosperity or pain? These words from a bitcoin miner capture the enthusiasm currently enveloping the Kazakhstan Bitcoin mining rush. If they have it their way, is seems the Kazakhs will mine every last Bitcoin. Despite the value of cryptocurrencies continuing to fall, millions of dollars are still being invested to transform vacant buildings across the country into crypto mining farms. “Most involved in mining are not companies, they’re individuals, they’re families,” Kazakh Bitcoin Miner, Didar Bekbauov, tells Micky. “They do not make it public, but the industry is developing rapidly. “I hear like every week mining projects are opening in different parts of country”. New-age Kazakh ‘miner’, Didar Bekbauov. Didar Bekauov’s story isn’t uncommon. In 2017, a friend from the US told him about Bitcoin so he began studying digital currencies and blockchain technology. After a small investment into cryptocurrencies resulted in a loss, Didar turned to mining. “The mining area, it seemed to me more interesting and promising,” he says. Fast-forward 8 months, with the help of some friends, the former supplement distributer now spends his days operating a crypto mining farm with almost 350 ASIC miners. Didar Bekbauov’s crypto mining facility during the set-up phase. Bitcoin and Zcash are the commodities of choice. With Bitcoin hovering between US$6000 and US$7500, the team hope to have their significant set-up costs paid off in 14-16 months. Didar Bekbauov holds one of his ASIC miners. Kazakhstan Bitcoin miners are boosted by the country’s incredibly cheap electricity. Didar tells Micky, electricity currently costs his operation five cents per kilowatt hour, a price he believes he can reduce in the coming months. 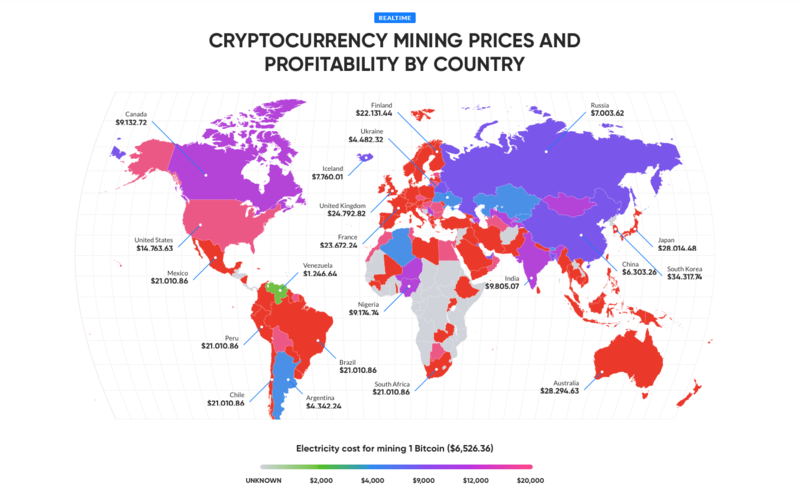 According to coinrate’s realtime mining profitability map, only Venezuela, Argentina and Algeria offer cheaper energy prices. The problem is these countries are all much warmer than Kazakhstan, making it more difficult to keep mining equipment cool. Regardless of the cheap electricity, further sharp falls in crypto prices could be catastrophic for Kazakhstan’s new generation of digital entrepreneurs – a risk they say they’re well aware of. On the surface, it would appear government and banking officials have mixed opinions about the cryptocurrency industry. Just months ago reports emerged about a potential cryptocurrency mining ban. The fears sparked by comments made by the Chairman of Kazakhstan’s National Bank, Daniyar Akishev. 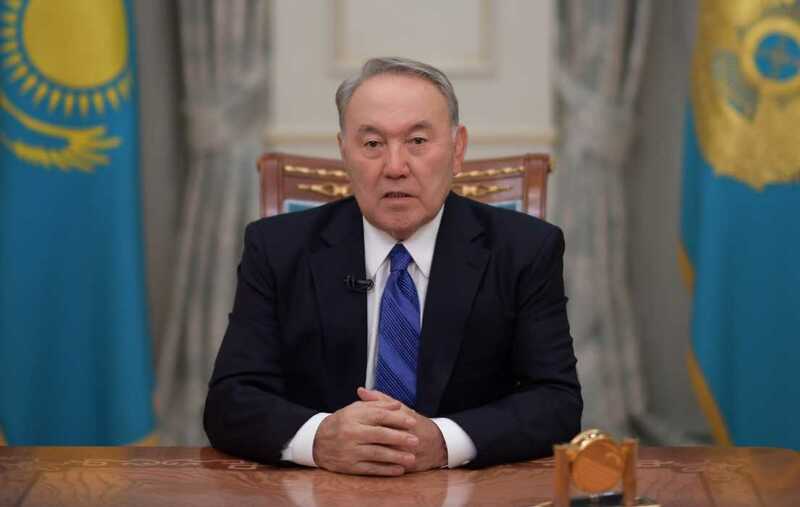 Akishev’s comments, however, were inconsistent with the agenda of Kazakhstan’s President. Since the break-up of the Soviet Union, President Nursultan Nazarbayev has implemented sweeping economic reforms. In recent years he announced an ambition to make his country one of the 30 most competitive nations in the world. Key components to achieving that goal are digitisation and the establishment of the Astana International Financial Centre (AIFC). The financial centre which opened on January 1, 2018, offers taxation and visa waivers, operating like a city-within-a-city. The AIFC’s governor, Kairat Kelimbetov, has openly supported the establishment of cryptocurrency and blockchain enterprises. “Blockchain and cryptocurrencies are entering the mainstream of today’s economic reality. Astana’s leading financial regulators have already commenced their work and are laying the foundation for Kazakhstan’s fitech-ecosystem. “We believe that the AIFC can become an international hub for blockchain operations and the development of the digital assets market is our key priority in the near future,” said the Governor in a statement in October 2017. Kazakhstan’s Government also has embraced blockchain, becoming one of the first countries in the world to implement the technology in government business, including tax collection. So while the National Bank might want to stop it, the Government is in no mood to terminate the Kazakhstan Bitcoin mining rush. Are the Kazakhstan Bitcoin miners taking too big a risk? Will it end in prosperity or pain? Leave your thoughts in the comments below. Global Insights – Why government officials in the Philippines are analysing Australia’s cryptocurrency regulations. Click to read the article recently published on Micky.